When was the last time you heard anyone mention Rutilio Grande? … or maybe you’ve never even heard of Rutilio Grande. In case this is the first you’ve heard of him, Fr. Grande was a Jesuit priest in El Salvador. In time, he came to understand his vocational call and God’s expectation of him to be one of self-sacrifice and loving service. As the seminary director of social action projects in San Salvador, he encouraged his students to spend time living among the poor in the countryside learning to understand their struggles and their faith. By empowering the poor to understand their own sense of dignity and their rights as children of God, he became known as a “radical” priest and a troublemaker. Since his ministry was active in the 1960 and 1970s, a picture might be forming in your mind if you have any knowledge of what was happening in Central America at that time. He regularly preached on social justice issues and named the hypocrisy of those who called themselves Christians yet stood by silently while their brothers and sisters were being oppressed. After a particularly feisty sermon in which he denounced the sham of democracy in regard to a Colombian priest who was deported from El Salvador without a hearing he was machine-gunned down in his van that afternoon. 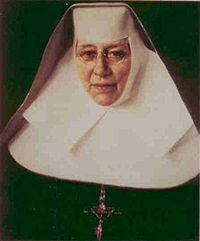 When was the last time you heard anyone mention Sister Katherine Drexel? … or, again, maybe you’ve never heard of her. Sr. Katherine was the daughter of Francis Drexel, an extremely successful banker who died in 1885 leaving Katherine and her two sisters a trust of $14,000,000. Katherine was a generous philanthropist, but was also concerned for those on the margins of the church and U.S. society … specifically the black and indigenous communities. In 1891 she founded a new religious order, the Sisters of the Blessed Sacrament for Indians and Colored People and used her $400,000 a year from her father’s estate to support projects and programs in the black and indigenous communities throughout the U.S. While I’m assuming neither of these people are on the tip of your tongue, arguably they both had a significant social justice impact. Fr. 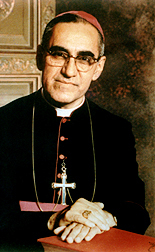 Grande was a close friend of Bishop Oscar Romero, and his death proved to be the catalyst to move Bp. Romero to become a staunch advocate for the poor (Bp. 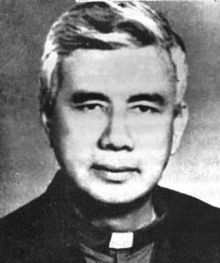 Romero was assassinated celebrating mass in 1980). 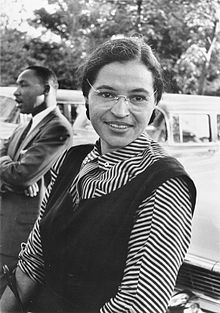 Katherine, as mother superior of her order, provided a significant witness in serving the under-served, bringing awareness of the marginalized black and indigenous communities to the fore up until her death in 1955, the same year that Rosa Parks refused to give up her seat on a bus in Alabama. Fr Grande and Sr. Katherine both worked for the greater good, and both died not knowing whether or not their work had had any impact. I think all missioners have to wonder, at times, if what they are doing matters. When we’re in the field, if we’re honest with ourselves, I think we have days when we wake up and wonder if anything we’re doing really matters. We hear stories of people who worked for years in a given community only to learn after they returned home that the community in which they worked digressed. Hospitals deteriorate and are abandoned. Housing deteriorates and is abandoned. Schools deteriorate and are closed. Projects lose their funding. We return to a community after building the foundation for a school only to discover years later that the school is still just the foundation we built. We learn through contacts that Diocesan priorities have changed and the program we and so many were convinced would be the catalyst for significant change in that particular Diocese … is no longer in operation. While I hope and pray that the work I’m doing, and the approach to development I’ve started, one that does not rely on me, but rather empowers others with tools and training, will continue long after I’m gone, I have no way of knowing what will happen in the future. And the reality is that none of us knows what will happen. We don’t know God’s plan. We may never see the fruits of our labor. We do not know if we’ll one day be called upon by God to do something other than what we’re currently doing. We may never be called by God to lead a social justice movement. Our work may not become the foundation for an internationally recognized organization. But, we do what we do anyway, because what we can do is continue to discern and be the person God calls us to be. I can relate to people like Fr. Rutilio and Sr. Katherine. They didn’t win the Nobel Peace Prize (though Sr. Katherine was eventually canonized by the Roman Catholic Church). Their names didn’t become internationally recognized. They didn’t set the world on fire by their actions. But they did make a difference. They both lived in to who they were called to be, and both did their part in working toward the Kingdom of God. I hope and pray that’s what we’re all doing, whether it’s around the globe, around our home country, or around the corner from our home. Beautiful, Ted. Thank you for the reminder, and Lenten blessings to you! What a perfect day for me to read this. As always well said! Very good information we should all do what we can to help. Well said as usual. Dad.